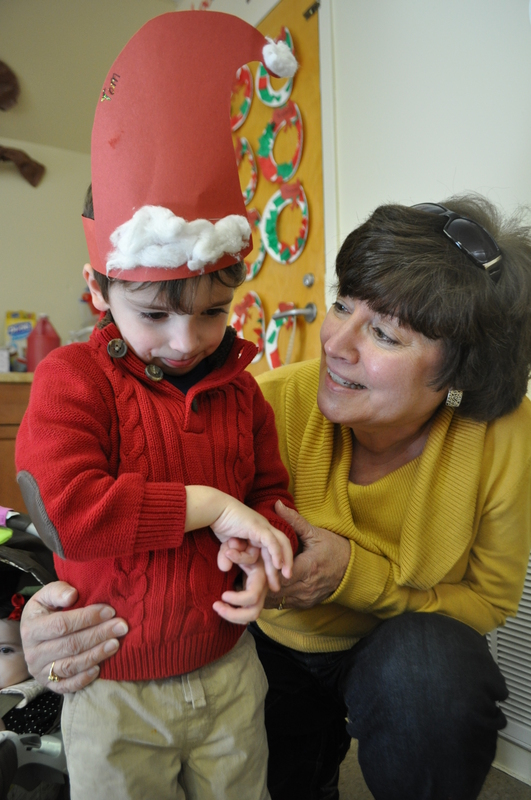 Tom had his first Christmas program at school on Thursday. I cannot express to you how insanely excited I was. 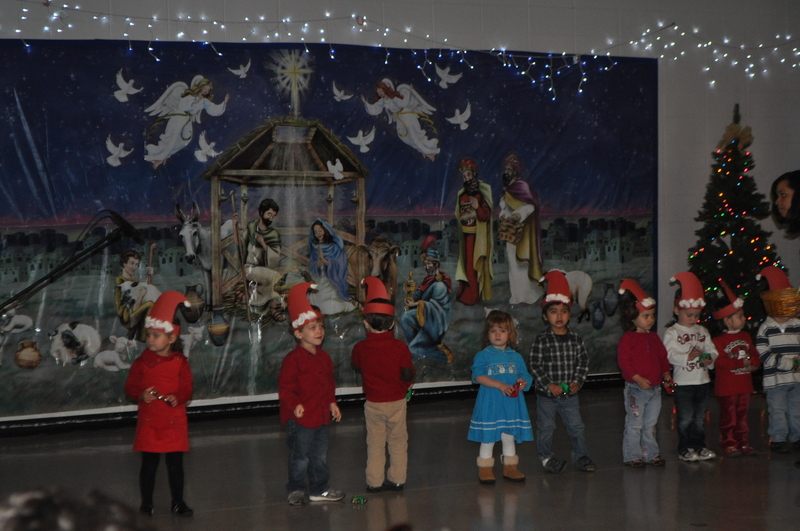 I love Christmastime, and some of my best memories are of our school programs. I loved being able to perform for all the parents. I loved singing and theater — and Christmas just made it all even more wonderful. 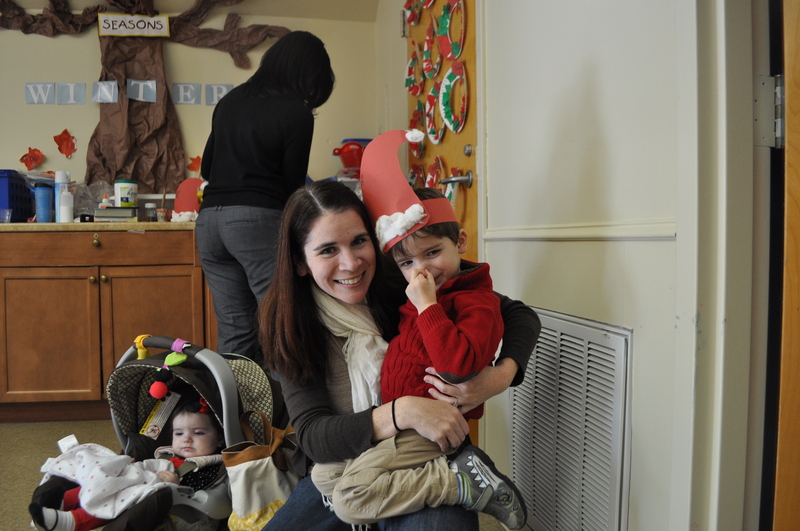 So when his school told me he’d be in their Christmas program — I was super thrilled! Tom had been practicing for weeks. 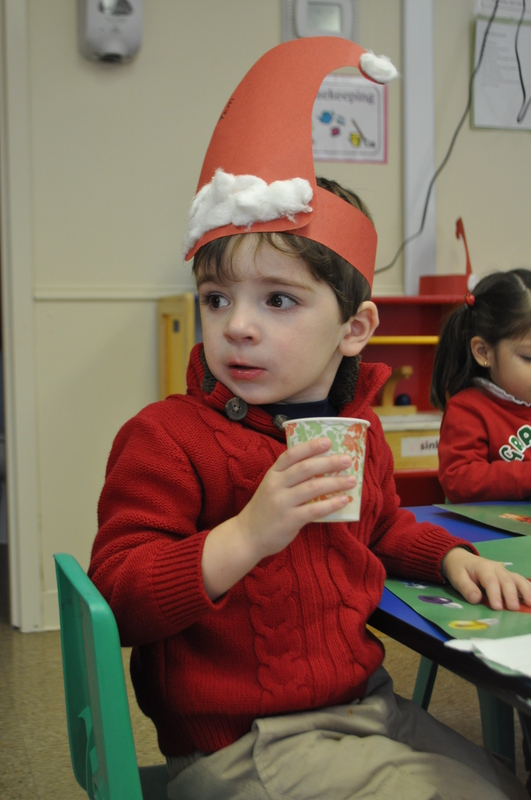 Every now and then he’d start singing Jingle Bells or We Wish You A Merry Christmas, and that’s how I knew which songs his class would be performing. I loved that he loved it and was singing it. What makes my child singing songs even *more* adorable? 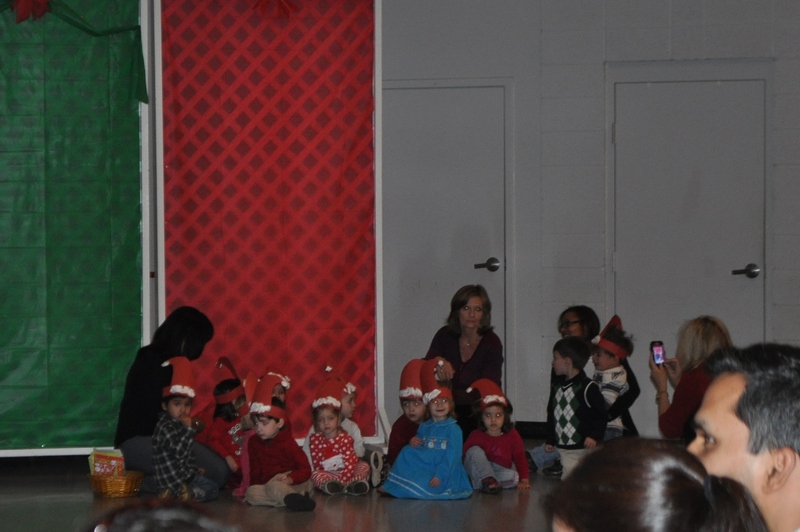 Watching him singing with his classmates. 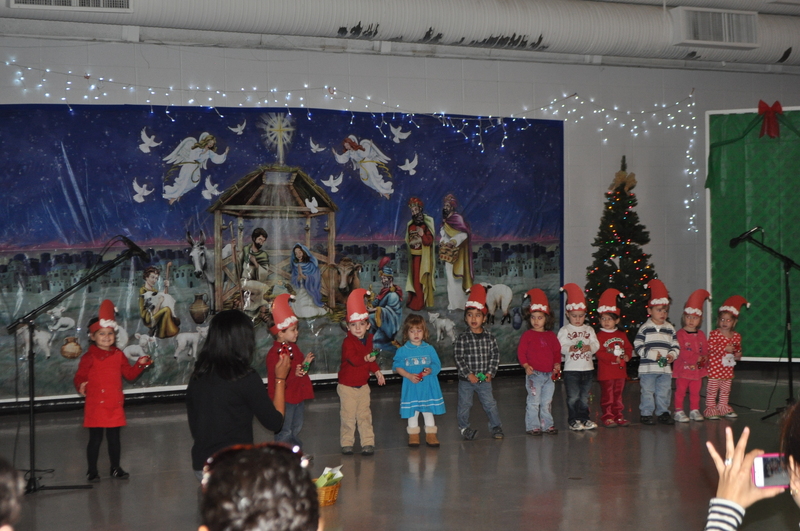 I could seriously watch 12 two-year-olds sing Christmas songs all day. Tom loved it and was so proud of himself. It was all sorts of cute. Even Tom sitting with his classmates waiting for their turn seemed super cute to me! Yes, Tom is turned the wrong way. I was really a bit nervous he may stay this way, but he did turn around before their first song. Whew! Tom jingling his bell and singing his song! He needed a drink after that performance! Oh, but it’s okay, because this is the best photo I got of us. Tom! I love this so much. Tom’s big smile really stands out. 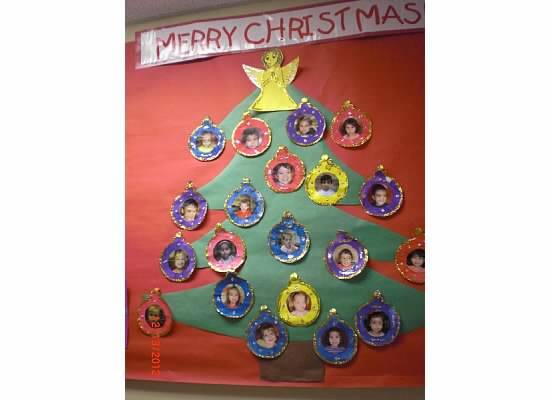 (He’s the red ornament kinda top center.) He’s so cute, right?! This entry was posted in Family, Motherhood, Tom. Bookmark the permalink. 2 Responses to Tom’s Christmas Program. I was super giddy too about the first performance. Love the picture with the hat!! I still remember you singing Mary, did you know at Miller!